Nicole is a Naturopathic Doctor who practices in the Durham Region. She received her medical training from the Canadian College of Naturopathic Medicine after completing a 4-year Honours Bachelor of Kinesiology degree from McMaster University. Nicole welcomes treating a variety of health conditions however she has a special interest in treating women’s health and hormonal issues. Having undergone her own challenges to begin her family, she is passionate about helping others with their fertility concerns. She combines natural medicines with conventional science to create a truly integrative healthcare experience. She is passionate about what she does and enjoys spreading the message of health. She has lectured at local colleges and has appeared on local television programs to educate others on various health topics. 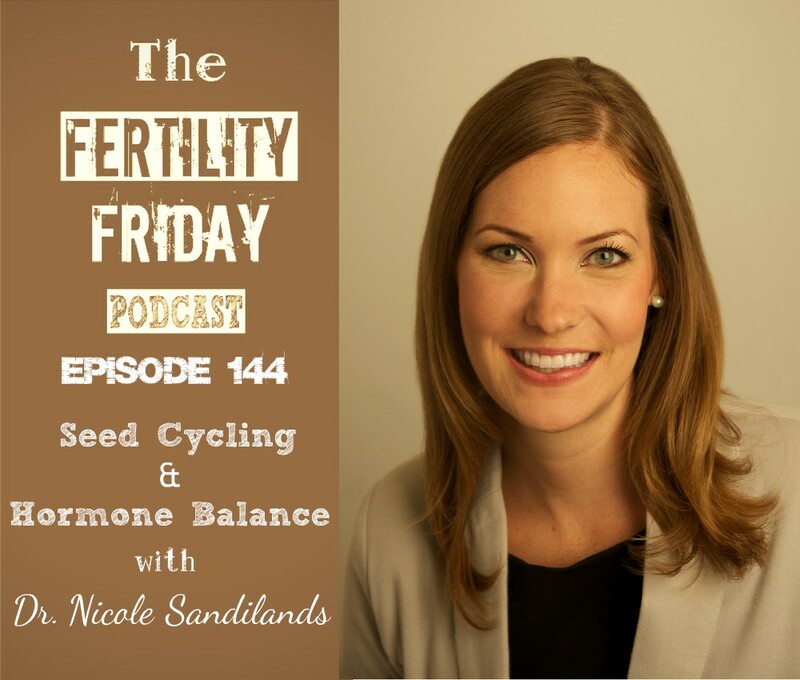 In today’s show, we talk about seed cycling and the role it can play in balancing hormones and improving menstrual cycle health. We also discuss realigning your expectations coming off of hormonal birth control because it is really important to know that there is a transition period after using a hormonal contraceptive. We also elaborate the factors that could affect your pregnancy and most especially about having a healthy baby. That knowing about your chart and what a healthy cycle looks like will be beneficial in attaining your overall health. After coming off of hormonal birth control there is a very real transition period until your cycle returns to healthy and normal parameters. Nicole shares her experience with endometriosis and how it led her to become a Naturopathic Doctor. How do ovulation predictor kits (OPKs) work? Is it possible to have endometriosis without having any signs and symptoms? What is seed cycling and how can it help balance your menstrual cycle? What to expect coming off of hormonal birth control? How long does it typically take for a woman’s period to come back after coming off of hormonal contraceptives? Using Vitex to regulate your hormones. How long should you take it for? The importance of having adequate progesterone production in the body. How diet and lifestyle affect your body and your reproductive health? When is the best time to get off the pill? You can connect with Dr. Sandilands on her Website, and on Facebook and Twitter. Hi Lisa, thanks for your work! I’ve been listening to this podcast for 6 months and am still popping between episodes to catch up. Sorry if this is a repeat post…I don’t think my first one went through. After listening to this podcast, I am curious about the timing of the seed rotation. Nicole directed to switch seeds at day 14, then again after a woman gets her period. If we are tracking our cycle and know when we ovulate, do we want to keep the first set of seeds until we ovulate and then switch? Or is this seed cycling supposed to help regulate cycles to be on the 28-day moon cycle? Thanks for your response. If I remember correctly, Dr. Sandilands suggests to do it based on the actual day (days 1-14 and days 15-28) as a way of encouraging your cycle to balance.